Printings are available in Black & White and Colour formats, in every size and on a variety of paper types, thickness and colour. Printing on a variety of paper quality and thickness. Choose your size (Box/per page). Hard Cover Binding is the BEST selection for your University Dissertation/MBA/PhD or any book that will feature in your personal library. Strongest and most durable binding of all bindings since its both sewed and glued. You can choose from a variety of book cover colors. You can choose between leather or fabric material for the book encase. Emboss or foil stamp of gold or silver lettering on the cover and the spine of the book. Average Completion Time 4 – 5 minutes. Allows removal and addition of pages even after the binding is completed. Pages can be turned easily and stay put. The only way for a page to be accidentally removed is by tearing it apart. It has a binding capability of up to 500 sheets. It is the perfect index solution for tabs, usually found in bound projects that require tabbed page dividers such as reports, presentations and training manuals. A thermal process for binding which is extremely durable and does not requires document punching. It has a binding capability of up to 300 sheets. It has a more professional look than spiral binding making it the perfect choice for reports proposals, memory books and year books. Several documents can be binded at the same time. The whole process takes just a few minutes to be completed but the binding will hold for several years. Widely used soft-cover book binding method for your documents or notes. Authors, businesses and organisations use it for its professional appearance and relatively low cost. 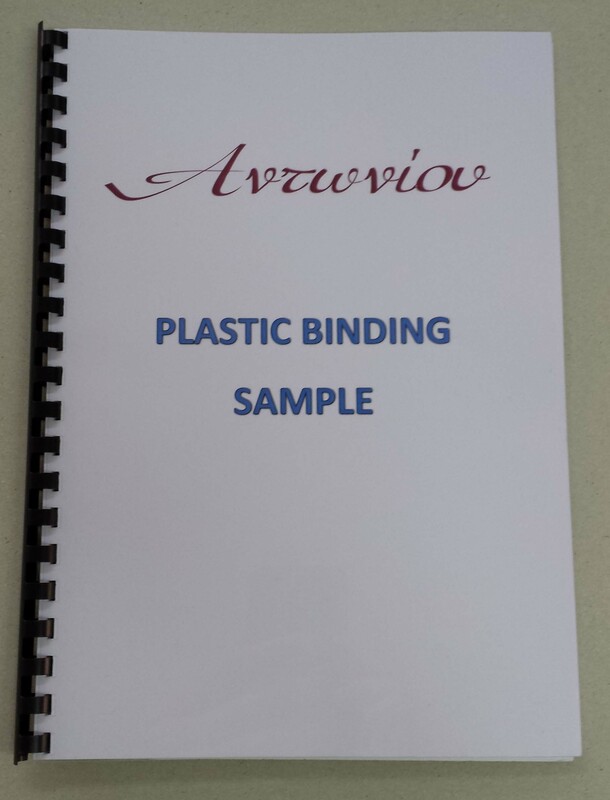 Fast and solid binding solution that combines practicality and quality in a low budget cost. Despite the fact that it forbids addition or removal of pages after binding unless destroyed and replaced. Pages can be turned easily and stay put. The only way for a page to be removed is by tearing it apart. It can hold a low page count and a high page count, as there is a variety of coil clinometers to satisfy every need. It is the perfect indexing solution for tabs, usually found in bound projects that require tabbed page dividers such as reports, presentations and training manuals. Providing the convenience to our customers to get the job done by using our email and faxing services both fast, efficient and effective.